Thankfully, during this past decade, because of technology along with other awareness efforts, caregiver support has exploded with resources and professional help. Still, caregivers long to connect personally with each other and share, on an intimate level, what they’ve learned. The stories below are examples of that sharing spirit. Caregiving will change your life both positively and negatively, but these caregivers make it clear that you don’t have to go through it alone. While all caregiving has its commonalities, being a young caregiver has its own unique challenges. Being thrust into a caregiver role at a young age, when my mom had a debilitating stroke, I was faced with all the “common” caregiver challenges but at a time in my life when it was least expected. I immediately left my burgeoning career, my apartment, and my friends to move back home to care for her. Innocence is lost when surrounded by sickness and a sea of responsibility. I felt so alone; even though my friends and family tried to be supportive, they could not relate. Once tragedy strikes, freedom and innocence are hard to get back. 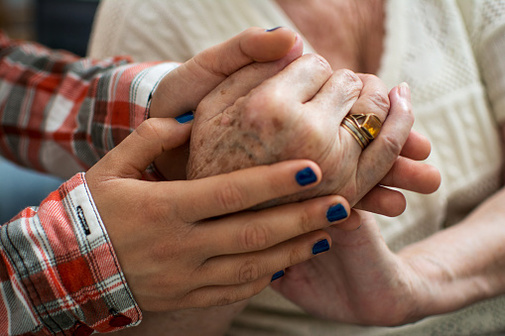 Being a caregiver, especially at a young age, is a huge sacrifice. I don’t regret it, but there have been times I felt I was missing out on some of the best years of my life. Now after nine years in this role, I have redefined my relationship with my mom. I choose my battles, give myself a break, and take solace in the good moments I have with her. Even when my mother could no longer speak, she continued to be my teacher. Early on in her dementia, she said, “Your father gets so upset when I forget things. But there’s nothing I can do about it, so I just have to laugh.” As her dementia progressed, her laughter blossomed. She slowed down and I slowed down with her. With Mom, I lived in the present, hanging on her every syllable, understanding that even this sprinkle of language might dry up. And when Mom went silent, I held her hands and gazed into her eyes, something we had never done in our earlier, more rational life, just looking at each other, soul to soul, woman to woman, mother teaching her daughter about the true meaning of love. Cleaning out decades of hoarding. Selling their home while they were still alive. Taking everything away from parents who gave me every opportunity caused anguish and guilt, like punches in the gut, for them and for me. Denying the need to intervene? I loved my parents too much to risk their harm from my negligence. Caregiver, be brave, remain strong. Know you make decisions for their protection with your reluctant invasion. Our battle began in 2006 when Mom was diagnosed with dementia at age 77. Feeling woefully unprepared and having no knowledge about what to expect along this journey, I learned everything I could. I record everything that occurs and search for the best doctors and other support for Mom. Caregiving is made easier by having no expectations and doing the best job you can every day. Every day as a caregiver is different. Our journey has been heartbreaking, hopeful, faithful, and funny. 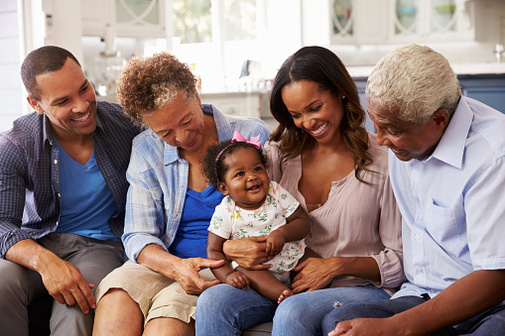 Like many others who are part of “The Sandwich Generation,” learning to juggle an aging parent’s care, working, and raising a family can be difficult. Yet I found it infinitely more stressful trying to involve siblings who wouldn’t help. If you’re a caregiver for someone and can’t fathom why capable family members won’t help — you are not alone! I found out through attending caregiver support meetings and online sources that many other caregivers have similar issues. I had repeatedly tried all the suggested remedies: asking for help, family meetings, counseling. Unfortunately, none of these valuable and often successful tools enabled our family to work together as a team. Mom passed away after a 12-year battle with Alzheimer’s, and her children are more estranged than ever. Forgiveness and acceptance of their rejection allowed me to reduce the stress I had been feeling, but I also had to “let go” of the idea of reconciliation. I am honored and privileged to have been able to manage Mom’s care. You are not alone! That is the key, my fellow caregivers. There is help. Find local resources by going to http://www.aging.gov/ and clicking on state resources. Find caregiving support by calling your local Alzheimer's organization. Find online support here[EB5] on HealthCentral.com as well as by using the search terms "caregiver support" online. Do this to take care of yourself because you are as important as the person for whom you are providing care. Carol Bradley Bursack is a veteran family caregiver having spent over two decades caring for a total of seven elders. She is a longtime newspaper columnist and the author of “Minding Our Elders: Caregivers Share Their Personal Stories,” as well as a contributor to several additional books on caregiving and dementia. Her websites can be accessed at www.mindingourelders.com. Follow Carol on Twitter@mindingourelder_ and on Facebook _Minding Our Elders. [EB5]Erin here! Are you referring to a specific HealthCentral article here, or just in general?